I've been having fun with all the metal pieces I've accumulated over the years. As you know, my spring cleaning took on a life of its own. 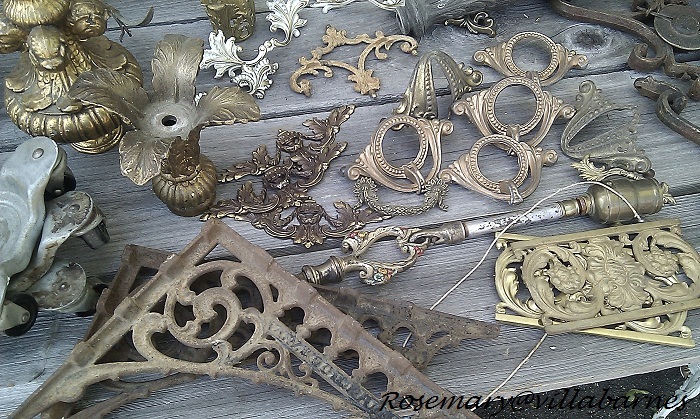 I unearthed quite a few lamp parts, and other metal treasures. I'm giving them all more character. 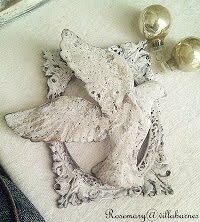 Last year, I did a post entitled "Tarnished Silver and White", in which I showed you how I gave a metal frame a tarnished look. I used a similar technique on the pieces here. Only I used my own mix of stain instead of black paint. The tray with the figure was a bright gold painted composite metal. This is another case where I was in a hurry to get at it. The only before I have is of the dolphin lamp part, here in the upper left. 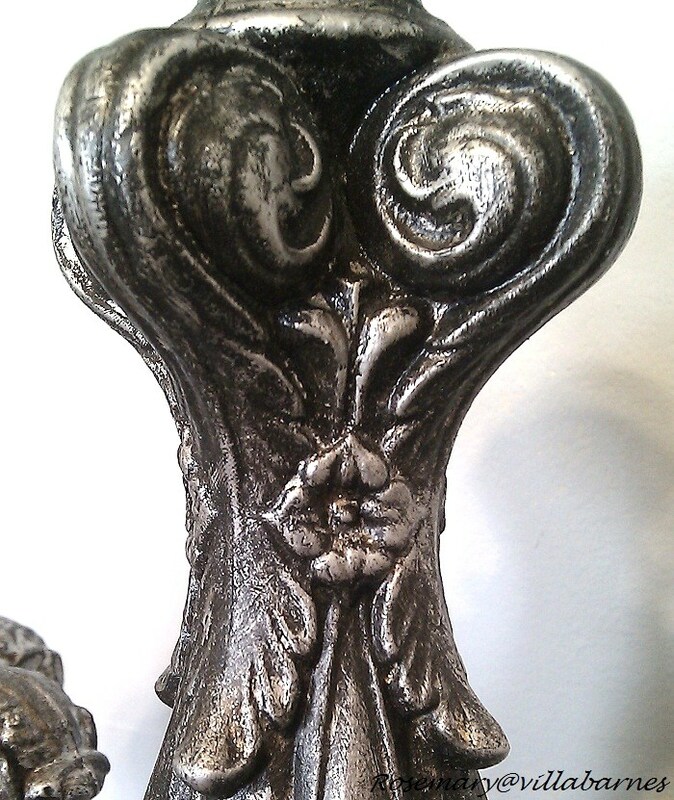 The other pieces had a similar finish. After silver leafing, and my stain mixture, I had a tarnished and aged look. The lions are banks, but I'm planning to add weight to the interior, and use them as bookends. Here are the dolphins. I left hints of gold here and there. The two lamp parts make perfect candle stands. Just the right fit. You can call it tarnished, aged, yucked up, or whatever. I love the look. It's a beautiful day here. Perfect for more projects. See ya soon. Definitely NOT yucked up. I love everything you do. These look great too. I don't like anything toooo shiny. Thanks for sharing. Love how you yuck up everything ~ lol!! 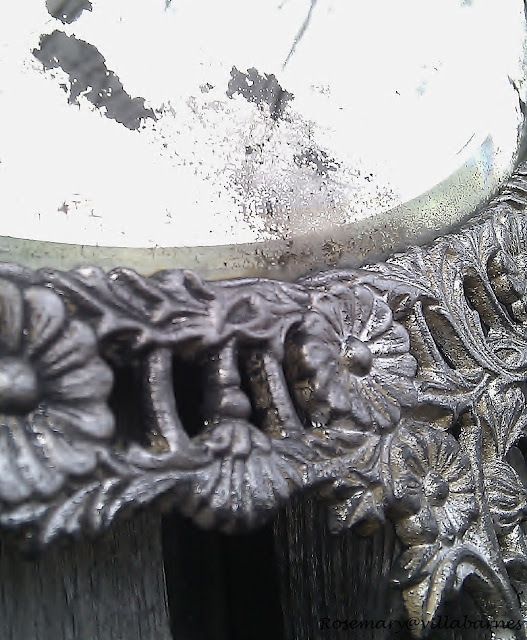 question for you, maybe we missed it ~ do you ever do a tarnished/distressed mirror look (heavy)? I want to put a mirror on my cupboard doors in my kitchen, but they are across from a big window...don't want glare so much! What do you do with the glass parts on some of them? Those are gorgeous.I am sure you are having fun creating.We are having great weather for painting and creating. Those lamp parts make up gorgeous candle holders! You really know how to think "outside the box". They've all turned out beautifully, Rosemary! Oh! 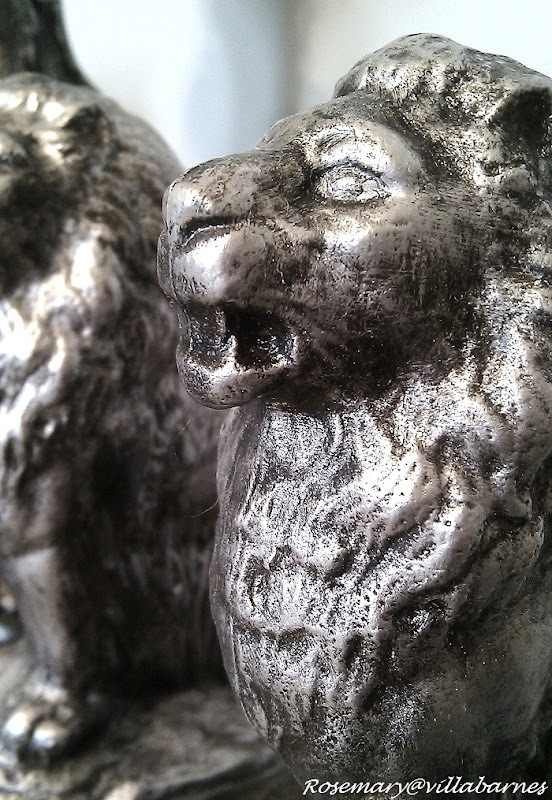 Those lions would make awesome bedposts or an entrance to a tabletop garden! Love, love, LOVE! Rosemary, You always create such beautiful things. Love the tarnished silver look. Thanks for linking to the OHP. Great technique, I learn something new every time I visit. 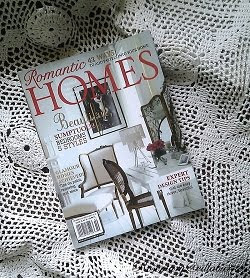 You have had a busy month, and I've been stopping and reading and waiting for you to catch your breath. And I have to tell you one thing I noticed from post to post.... you really know how to put the look on the stuff! You do nice work. Well I think everyone before me has pretty much said it all. Lovely finish and those candle holders are awesome!! I love how they turned out. You are so talented. 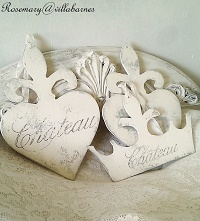 Really nice work and classy in a shabby chic kind of way! I love it! Wish I lived closer to you, I love this kind of look! How lovely this all is,what talent. I love the look too. 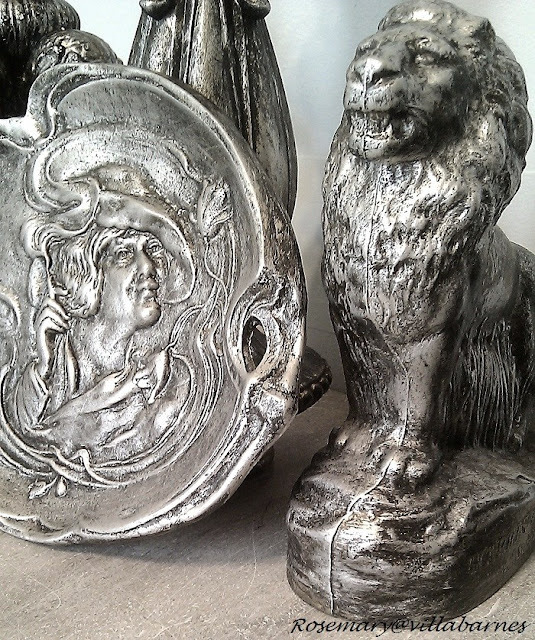 The lions will make fantastic bookends, Rosemary! 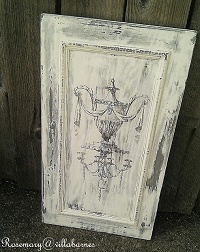 As always you dazzle me with your talent, I love the fact that you have mastered the variety of looks, paints, finishes to bring about wonderfully distressed, aged pieces and in any color or tone. Keep up the good work. Love how vintage looking that finish turned out. I know you can perform miracles with lamp parts! Ha! 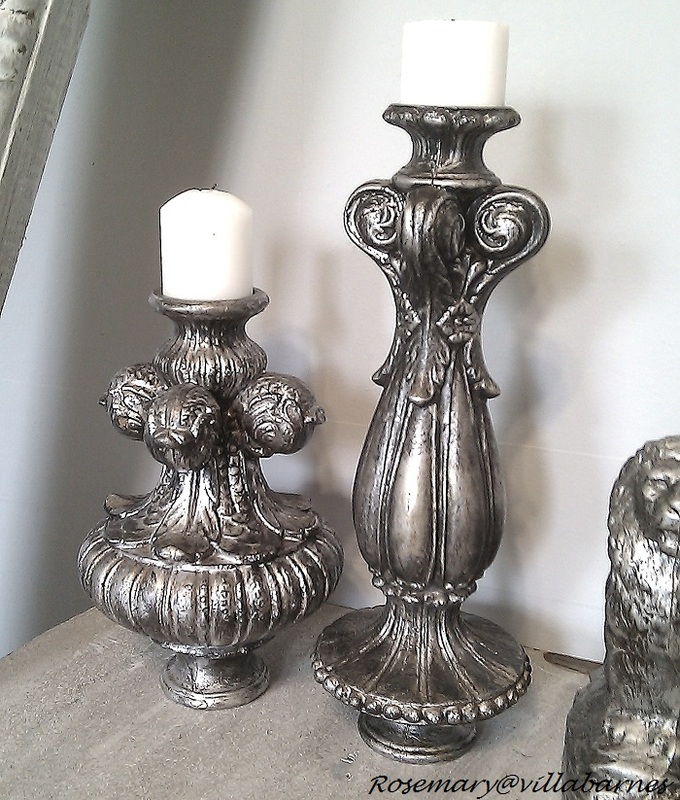 Loving the silver ~ those candle sticks are great. 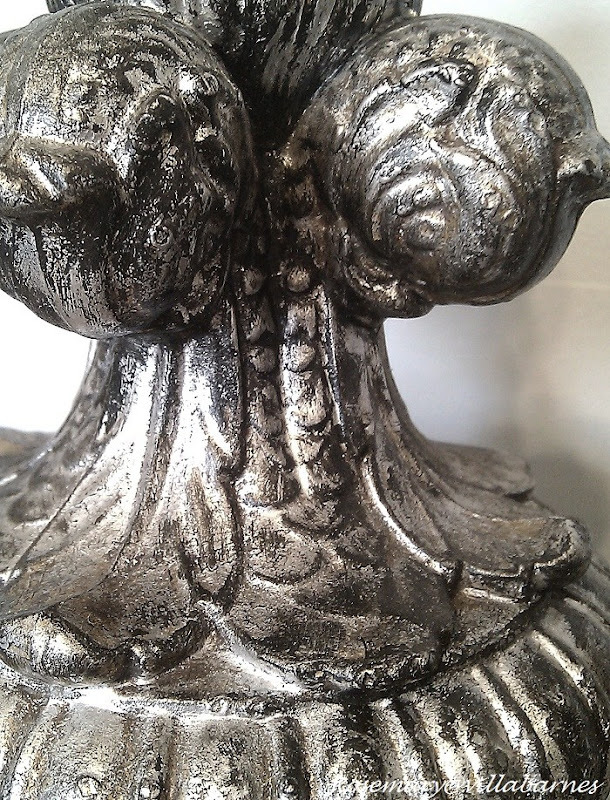 Hopped back and took a look at your "Tarnished Silver & White" post (missed it when I was on vacation, thought I had caught up). 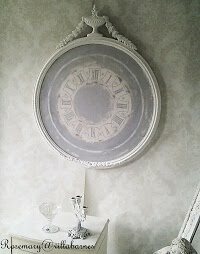 The mirror is just gorgeous. 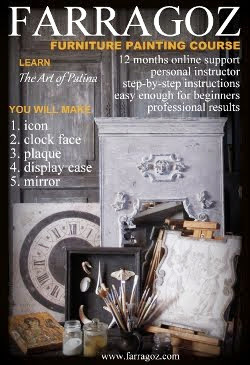 I have one similar that I would like to try this on...did you/could you do a tutorial on the aging/distressing of the mirror itself? 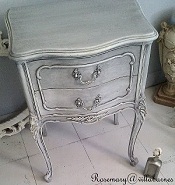 Followed over from Feathered Nest party to see these finishes. 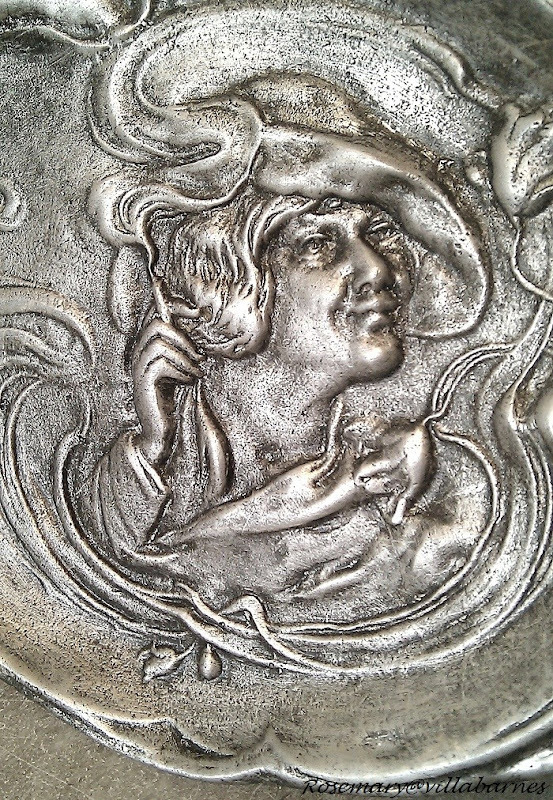 I got a tin of silver leaf in a box at an estate sale -several books of it. I wondered what to do with it. I am following you to return and browse some more. Please come to my house and yuck up some of my junk!